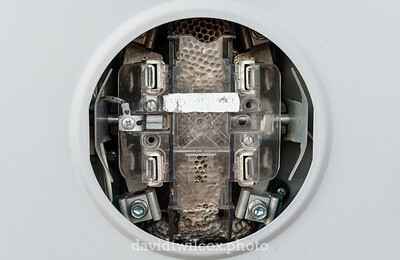 Abstract, close ups, and other more artistic endeavors. 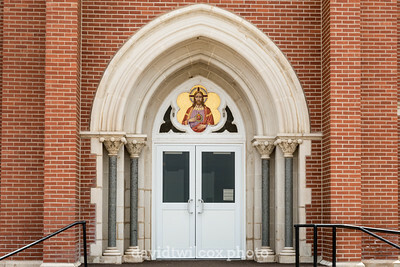 The entrance to Sacred Heart Parish Church in Park City, Kansas. 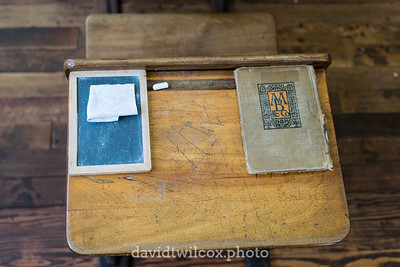 The church was built in 1927 and is easily visible for miles across the flat plains of the area. 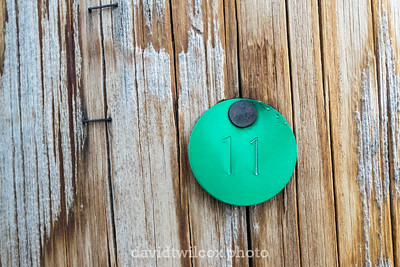 These tags are used to mark utility poles throughout Battlefield, Missouri. 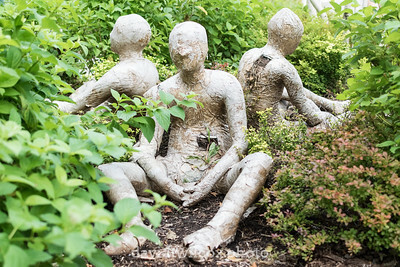 What their exact purpose is and how they are interpreted, I do not know. 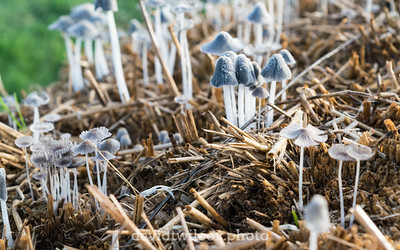 Mushrooms growing on a straw bale used as a storm water barrier at a construction site near the Battlefield City Park in Battlefield, Missouri. 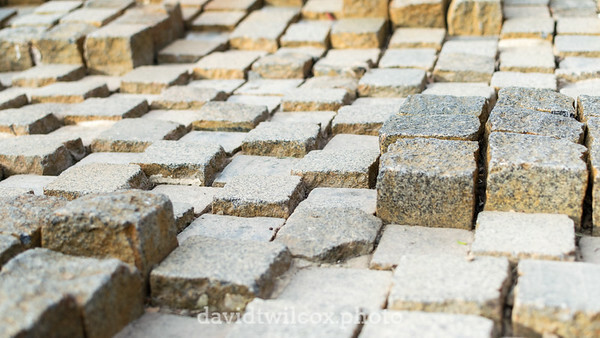 These bricks are the bottom of the normally flowing water feature at Jordan Valley Park in downtown Springfield, Missouri. 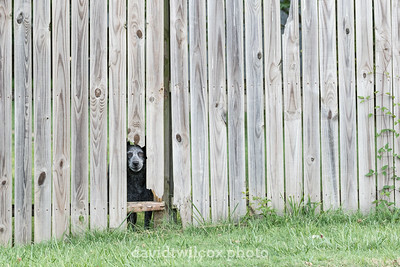 In the cold days of late winter and early spring, the water is shut off to prevent freezing pipes. 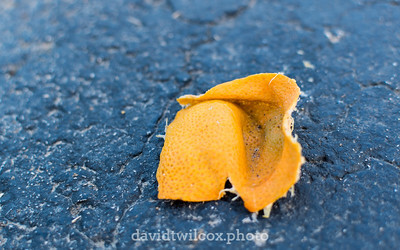 An orange peel on a recently resurfaced asphalt parking lot at the Battlefield City Park in Battlefield, Missouri. 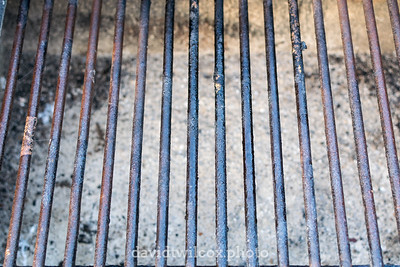 A grilling surface over rain-soaked ashes in the park in Battlefield, Missouri. 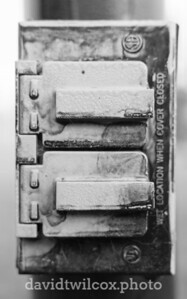 An outdoor electrical outlet covered in morning dew. 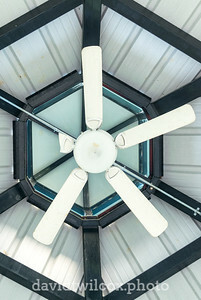 A fan that has seen better days in the ceiling of the gazebo next to the pond in Battlefield City Park in Battlefield, Missouri. 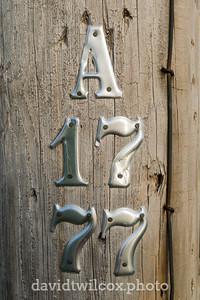 In addition to small numbered tags, the utility poles throughout Battlefield and Springfield, Missouri, have number codes nailed to them. 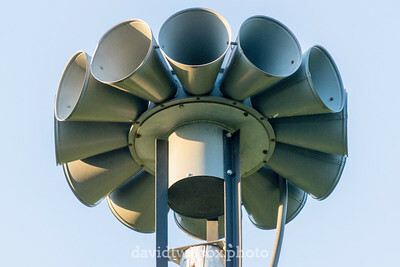 The many horns of a tornado and civil alert siren in Battlefield, Missouri. 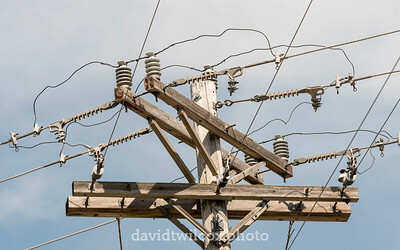 As in all cities throughout the Ozarks, these sirens are on high poles across the town. 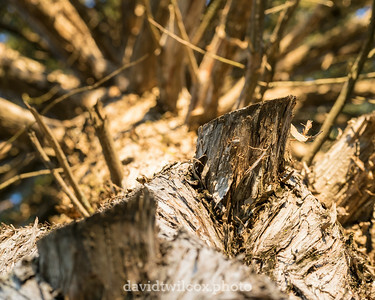 The stumps of trimmed limbs on a road side pine tree. 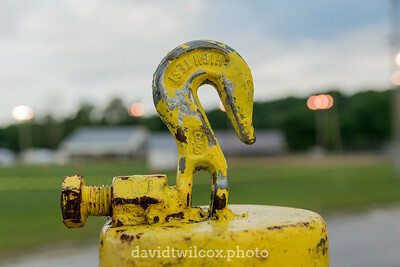 A rusting hook sits on top of a concrete post at the fairgrounds in Ozark, Missouri. 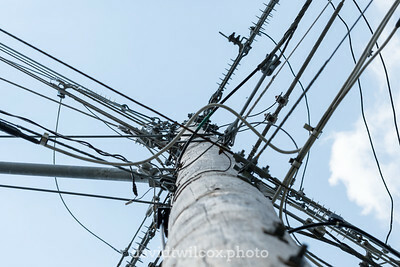 The complex tangle of power lines, telephone lines and guy wires connecting to a utility pole at an intersection. 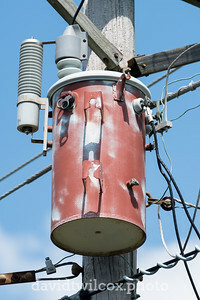 A transformer sitting high on a utility pole. 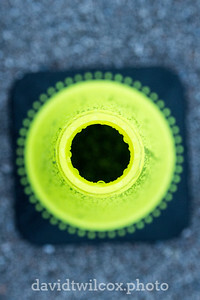 Looking into a traffic cone. 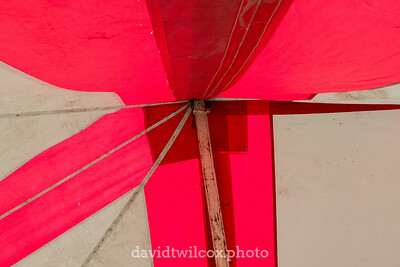 A single thing rope and a collapsible aluminum pole holding up the roof of a very large tent. 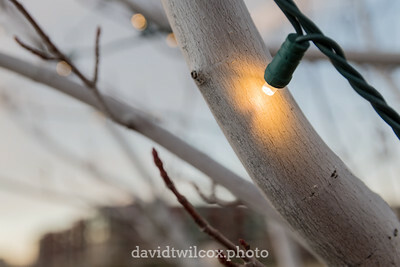 A single Christmas light creates the tiniest spotlight on the bark of a tree alongside a street in Broomfield, Colorado. 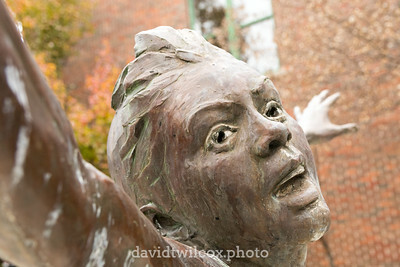 The statue is supposed to be that of a child playing, but the lack of eyes in the eye socket makes it seem more like the statue of a child running from an unseen serial killer.